We’ve provided stem mastering for select clients over the years but never offered this service publicly. After continuous requests, we’re excited to announce that it’s now available. The reason for this post is to explain the service in detail and quell any confusion on what to expect. A way to allow us to adjust elements in the mix internally rather than globally which ends up being a better quality master. For example, your kick is too loud and distorting when pushing into loudness. With normal 2-track stereo mastering, we can eq or compress the entire track to correct it. This would affect other elements in the mix rather than just the kick. With access to stems, we can turn the volume down of the kick and fix the problem with no degradation to other tracks. Another example: your drums sound great but the vocal is peaking all over the place and needs control. Rather than processing the entire track to make the vocal sound better and degrading the quality of the drums, we can go in and process only the vocal with stems resulting in a better master. Don’t confuse this service with being a way to get a cheap mixdown. We expect the stems to sound good when we import them. The mix should be as close to finished as you can get it. Don’t look to us to add coloring, bus processing, or fx. The stems are provided to us for mastering adjustments only. All creative decisions and vibe should be intact before they reach us. The stems should be exported to give us options for adjustments but not too many options. Don’t send us 20 drum tracks, send us a good sounding drum group. Please contact mike@darkartmastering.com for any questions, rates, or details on how to get started with the service. Aaaaand it’s gone. We’ve learned that Spotify’s loudness normalization is an option that you can disable. This means that we can’t risk you having an extremely quiet master compared to the rest of the world. 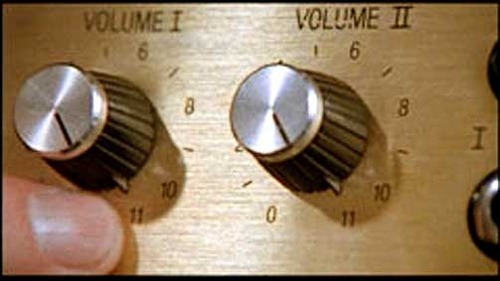 Until the industry conforms and makes loudness normalization standard, we won’t be providing this service. Some of you may have noticed my disappearance from Twitter and all other social media around May of last year. Some of my clients and close friends were aware of the events that transpired but for those of you that don’t, here’s my crazy story. April 12th 2016, the weather was perfect and coming out of the cold and rainy season, I was ready for some L.A. Spring riding. I finished up a normal day at Darkart and hopped on my Harley to drive home from DTLA. About halfway home I came around a corner to see an oncoming SUV turn across my lane at the last second onto a closed road leaving me no option but to slam my brakes and brace for impact as I barrel into her front end at 35 mph. I went over my handlebars and straight into the grill with part of me rolling onto the hood and then settling onto the pavement. It was not pretty. My first reaction was to look at the person who ruined my day (and my bike) and I see a woman who is smiling awkwardly at me not knowing what to say (in retrospect, I think she was in shock). As I’m trying to reason with the fact that this person just made things worse, the pain hit me, hard. I dropped to the pavement again in agony. There were alot of witnesses and it didn’t take long for the ambulance to arrive. Fast forward to me being wheeled on a gurney into the ER at USC Medical Center. Watching the team of doctors and nurses race into the room instantly, I could tell that they were always prepared for the worst when they hear ‘motorcylce accident’. Things like (as I’m told by one of the nurses), looking under the blanket and seeing pieces of me missing but luckily, that was not the case. After more analysis, I was told that I had Stage II Kidney Cancer and would need to have it surgically removed “soon" or my life would be in danger. Long story short, I ended up having the tumor surgically removed in a robotics-assisted surgery and they say that the chance of it reappearing is in the single-digit percentages. The recovery was hard however, very hard. Just getting back on my feet after the motorcycle accident took weeks and then the recovery from surgery…just being able to walk and breathe normally again was a task. But I recovered, fully. And went back to mastering records again for the latter half of the year as if nothing had changed. I did come back with somewhat of a changed perspective on life as I’m sure some of you might understand. It was a near death experience…two of them…back to back. But I’m here, and it’s 2017, a new year. I’d just like to thank everyone who’s been here for me, my family, all my clients that stuck with me through it all. Thank you and Happy New Year! Fresh off the release of their astounding new album ‘Love, Death, Immortality,’ The Glitch Mob sits down with Mike Bell of Darkart Mastering to talk shop in the latest installment of Artist Spotlight. Hey guys thanks for doing this. I know your life is crazy right now with the release of the album. Not a problem at all boss. My pleasure. I’d mentioned to you before that I was unsure what to expect on the mixdowns of this record after seeing Instagram pics of your screen filled with plugins but once I heard them, I honestly was pretty blown away. It doesn’t sound digital at all and I think the warmth and quality of the production really helped to get the emotion across properly. 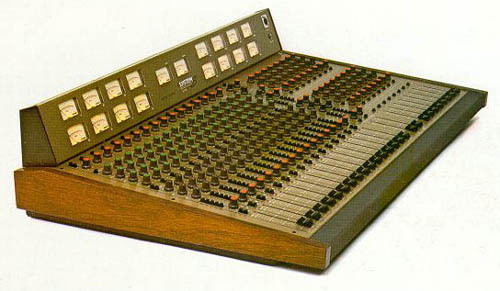 Yeah we are really big on that dirty, unpolished, vintage and analog sound. 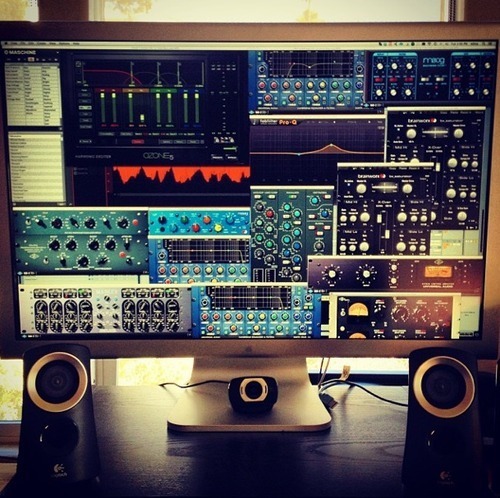 Although it’s all plugins, that’s something that really makes the tunes sound like The Glitch Mob. That vibe is definitely way more evident on 'Drink The Sea,’ but we still tried to keep that vibe as much as possible with this new album. It really does sound like you guys have stepped up your production game on this album compared to previous efforts. It’s competitive sonically with all the big “EDM” stuff out there. Was that a priority for you? You rely a lot on analyzers and meters to help get you where you need to go in the studio correct? Could you break that down a bit? In all honesty, it used to drive us up the wall. But after we parted ways with him, we really tried to digest all the analyzer talk as constructive criticism and try to understand what he was talking about. At that point, we began using analyzers to look at all of our tunes, and songs from our contemporaries. It was a really eye opening experience. We are willing to say it was one of the largest growth spurts that we’ve had as an engineers. We realized that our tunes were actually flawed in many ways and that’s why XOQ couldn’t achieve the results we were looking for. Parting ways with him was actually the best thing that happened to us, because it really made us take a hard look at what was "wrong” with the production, engineering and song writing of the album. And as a result, all of the flaws were things that only WE could fix. Also, if you see Instagram pics of our studio, you can see that we work in our living room. It is completely untreated. We’ve worked in so many kinds of rooms and at the end of the day, our living room is what feels the most creatively inspiring. Analyzers really help tell us what’s going on even though our monitoring situation is not ideal. 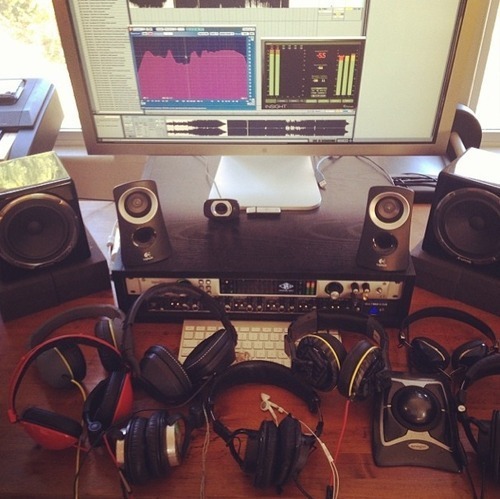 At this point, we feel we could probably use analyzers and mix a tune on headphones. It wouldn’t be perfect, but we could probably get it 85% there. Analyzers won’t make your mixes better. That’s still up to the engineer’s ear. But, they can totally show you problem areas that you normally can’t pick up on your monitors, and they can help you achieve more consistent mixes. The analyzers and a good parametric EQ are my two main weapons. What are some other tools and plugins that are integral to what you do? Are there any you couldn’t live without? At this point we would have to say that we cannot live without Voxengo SPAN Plus, DMG Audio Equilibrium and a good LUFS meter like the iZotope Insight or the ToneBoosters EBU Compact. How are you finding Ableton these days? It’s a love/hate relationship. We’ve used every Mac DAW under the sun and Ableton is the most creatively inspiring and the most flexible. There are so many things wrong with it, but at the end of the day, it is the best program for importing track elements from older sessions. And that to us is worth its weight in gold. We change so much stuff in the mix all of the time. We need to able to go back to the bassline from 2 years ago and import it into our current session with its original MIDI and FX plugins etc…no program can do it quite as easily as Ableton’s drag and drop features. We think that is the main reason we use Ableton. Also the ease of parallel processing with the “Audio Effect Rack” is probably another reason why we use it. How much live instrumentation went into the making of this record? Could you explain the tracking process a bit? This record actually had a lot less live instrumentation. 'Drink The Sea’ definitely had way more guitar and bass. We played guitar and bass on a few tunes and we played a bunch of the jazzy Rhodes outros on some of the songs. The tracking process was super basic this time around. We literally recorded everything into the preamp on the UA Apollo bone dry and handled the processing after the fact. I absolutely love the vocals and the fact that you worked with a bunch of people I’ve never heard before rather than obvious big name cameos. How did you come across these people and how did you find working with them? It was funny because management and our whole sync/licensing team really wanted us to try to get some cool features for this record. So we tried. Sent a bunch of tweets and emails and no one bit. At the end of the day we ended up working with all of our homies, with the exception of Sister Crayon who hit us up on Twitter. Yaarrohs is my lady. She’s amazing. She has an EP coming out next year and it’s absolutely beautiful. Metal Mother is also one of our long time homies from Oakland. She just nailed it on that tune. 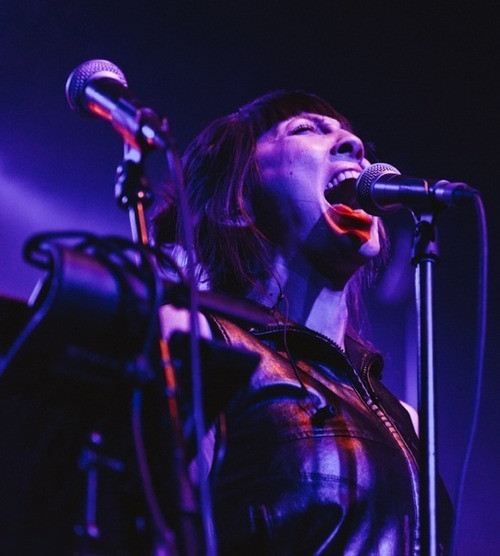 Aja Volkman is the front woman for Nico Vega. I’ve known her for years and the drummer in Nico Vega is one of my best friends. At the end of the day the best approach was really keeping it all in the family and not trying to get cool features from people you don’t know. It also just felt better from a creative standpoint. Any specific tips to getting a good vocal sound? I know you tracked one or two of them through a proper API console correct? The only vocals we personally tracked were Aja’s and Yaarrohs’. The Sister Crayon vocals and Metal Mother’s were sent through the internet. We mixed their vocals, but those girls tracked them on their own. We really think it’s all about the vocalist and the room. We tracked Aja at Kingsize in Silverlake and we originally tracked her through an LA2A, and the 550 section on the API console. 10 minutes in, we started getting tons of static. We finally ended up re-patching everything ditching the Neumann and just going from the new mic (AKG 414), to the API pre on the desk and straight into protools. No compression, no Neve 1073, nothing. And then afterwards, there was tons of compression, EQing and effects that happened in Ableton to achieve the sound. As you can tell from this example, we stripped out all of the bling, and just went with the bare bone essentials. Not to speak poorly of high end outboard gear, but we find that the “less is more” approach works better for when we’re tracking. We’re the type of engineers that would rather get a decent cleaner pass of a recording, then have the flexibility to process it after the fact. DMG Audio Equilibrium. You actually tipped us off to that and I must say, it’s our go to EQ for ANY job. The mix philosophy we use revolves around EQing close to the fundamentals or notes within the key of song. We know a lot of people have “rules.” They say “boost this frequency for snares, boost that for kick etc…” For a long time, we mixed like that as well and there’s nothing wrong with that if you can get the results you’re looking for. However, about a year ago we started boosting and cutting within the notes of the key of song. We can’t break it down scientifically but from a tonal standpoint, the songs sound like they “fit” more and logically make more sense. The DMG Audio Equilibrium and the Waves H-EQ are currently the leading EQ’s with a piano keyboard built in to the GUI. We have both but we prefer Equilibrium. Also the ability to play with the mid and side on Equilibrium is huge. Often times we don’t even use it to EQ anything, we’re just using it to control stereo image. How do you go about creating space in your mixes? Hah! Good Question. Our tunes are getting so maximal we’re not sure there’s a whole of space anywhere in the songs. But I guess a lot of the space comes from the writing itself. Knowing when the song can go full wall of sound and knowing when to strip it down so you can get back to the wall of sound and deliver on the emotional impact. But from a technical standpoint, EQ is critical and also understanding the stereo spectrum. 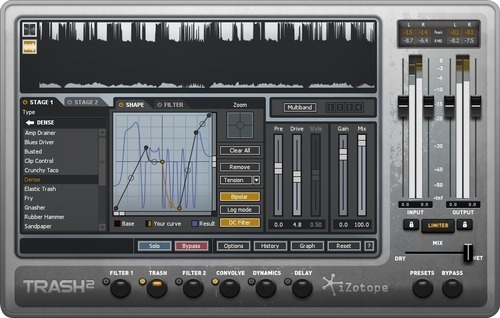 We used to fall in love with stereo spreader plugins. “Everything Wide!” The wide approach always sounds awesome in your studio, and then when you hear it on a festival rig, it sounds like it has no impact because everything is all over the place. So with this record, one big lesson was learning when it was ok to go wide and when it was important to stay closer to the middle. It was also an important lesson in leading the listener’s ear and brain to the most important elements of the song. You mentioned to me that you don’t use much compression but your mixes sound very polished. What are you using to get your peaks under control, saturation? We don’t use any plugins on the master bus. We used to use tons of plugins on the master bus and get the song colored all crazy. But these days, we’re all about absolutely nothing on the master bus. We do mix through a brick wall limiter to provide the mastering engineer with a reference mix/volume. But that all gets taken off when we send the the unmastered wavs to mastering. This approach just works for us. It helps us really hone in on what’s lacking in the song, or what’s overpowering the tune. We do use limiters on individual elements to help control peaks, but we rarely use traditional comps with an attack, decay and threshold. And in all honesty, we only use limiters on tracks that really need it. If a bass or lead has been processed with tons of distortion, the waveform is already going to look like a brick. No limiting needed. If it’s a percussion part that has a lot of dynamics, we might use a brick wall limiter to make sure that some of the harder hits don’t poke out. The basic Brainworx BX Limiter is my favorite. It’s one of the few where you can drop the threshold and not hear the source the material getting louder. Very few limiters work like that. What advice would you give to new producers coming up on how to get their tracks sounding better? What are some things that you wish you knew years ago? Tip #1: Use analyzers religiously. Learn how to read a spectrum analyzer in super fast hi res mode. Learn how to read them in slow averaging mode. Learn how to use a correlation meter, and learn how to use an LUFS meter. It doesn’t really matter which analyzers you use, as long as you understand it and it makes sense to you. But yeah, that’s my biggest tip. I wish we knew how to read analyzers ages ago. And it can be daunting, because it can look just a bunch of squiggly lines to most people. But once you figure it out, the “math” of the mixdown all begins to make perfect sense. Tip #2: Don’t mix at 95dB or higher. We used to mix CRAZY LOUD. We have a Genelec 7271 sub and I remember the first day we got it, we cranked up a tune to like 95 dB, saw the emergency overload light go off on the sub and thought “this thing’s not big enough.” Hah! Yeah we mixed loud for so long and I kept on wondering why Ooah and Boreta would tell me our mixdowns didn’t have enough bass. When you mix at at loud volumes, everything sounds huge and everything sounds way louder and bigger than it actually is. Also your perception of highs, mids and lows gets completely distorted. I find that we can achieve a way more balanced mix when we’re mixing at softer volumes like 75 to 80 dB. We’ll still blast it at 95 dB for 30 seconds to check bass response, but we definitely don’t consistently mix at that kind of loudness. We also find that mixing at 75 to 80 dB will allow you to mix for longer hours. If we have to, we can pull a 14 to 16 hour day in studio and still feel the mixes are solid the following day. Any other tips or desert island plugins? I would be willing to go as far as saying a lot of the “Glitch Mob sound” relies heavily on iZotope Trash 2 (and previously Trash 1). Every aspect of that plugin is incredible. There are tons of models for saturation, and then a ton on the opposite end of the spectrum for guitar amping, EQing and even filtering. It’s truly incredible once you figure it all out. Also LFO Tool is our go to sidechaining plugin. We love it because it is so consistent every time. The problem with sidechain compressors is that some of the time you will actually get distortion from the compressor depending on how it’s set, or what the key signal is. Sometimes you want that distortion, but it’s really nice to have something that is transparent and produces the perfect ducking curve every single time. Any news on the live show, tours, etc? Two year tour cycle starts in March. Alright thank you! Really appreciate you spending the time and sharing your knowledge. Thank YOU boss! Amazing job on the masters once again. 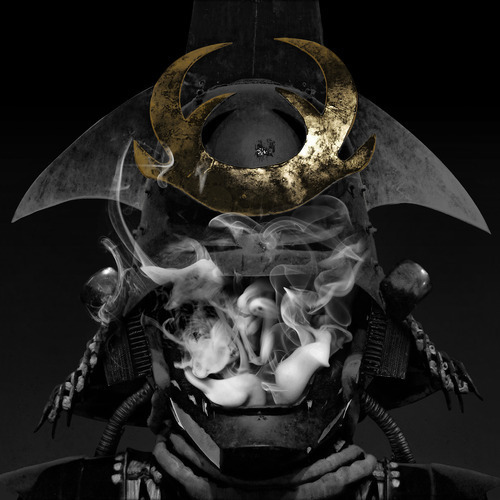 The Glitch Mob 'Love, Death, Immortality’ LP is out now and available everywhere. Go buy it!